You can't go wrong celebration National Sourdough Bread day April 1 if you celebrate with any of a number of offerings by Delightful Pastries. Pickup their Seeded Sourdough, a healthy delicious eggless bread with no dairy, sugar or yeast. It's a great vegan selection that is perfect on its own or used in making sandwiches. 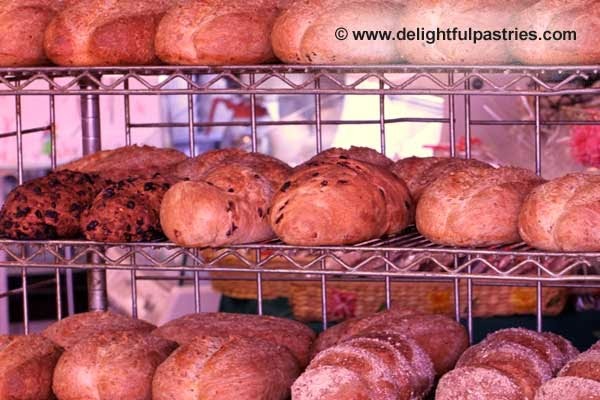 In fact, Delightful Pastries offers a number of vegan sourdough bread offerings including their special Pecan Cranberry Sourdough, a whole wheat bread studded with dried cranberries and pecans. Their Holiday Bread, Five Grain Levain, Farmer Rye Bread and Sunflower Rye Bread also use sourdough. Sourdough Bread is available at all three Delightful Pastries locations: Old Town at 1710 N. Wells St., (312) 255-0724; Jefferson Park at 5927 W. Lawrence, (773) 545-7215, and Chicago French Market at 131 N. Clinton, (312) 234-9644. Visit http://www.delightfulpastries.com for more information.